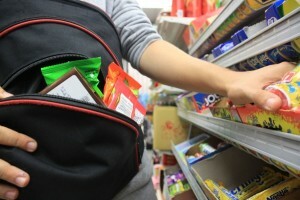 Theft, whether it is simple shoplifting or armed robbery, is entitled to an aggressive defense. In Illinois, a person who unlawfully obtains less than $500 worth of property will be charged with a Class A misdemeanor if he or she is a first-time offender, but if he or she is a repeat offender, the charge moves up to a Class 4 felony. A theft of property less than $500 that occurs at a school, church, or government facility also becomes a Class 4 felony. Other charges of theft include robbery, armed robbery, burglary, residential burglary, possession of burglary tools, home invasion, forgery, identity theft, etc. (from 720 ILCS 5/16-1). If you have been charged with any of these and would like more information concerning how to lower your charge, please contact us at 708.606.4386. Also, for nonviolent theft charges, probation is an option when drug addiction is a catalyst in the commission of the crime. In other words, if you are charged with nonviolent theft because of mental depression or drug addiction, with the proper treatment, the charge can be removed from your criminal record over time. Cook and DuPage Counties have treatment plans available for this type of probation, and we are glad to help you find the plan best for you. For more information regarding treatment and rehabilitation, see our Rehabilitation Section.